As you look to upgrade your scoreboard, you might think that your only option is to upgrade to a newer single-function, metal-box scoreboard. 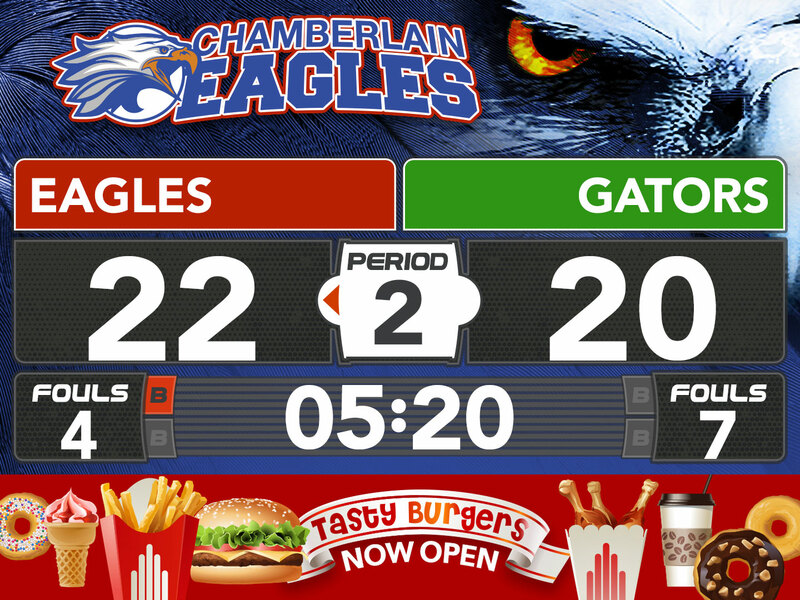 With these traditional metal-box scoreboards, customization begins and ends with team colors, your school name, and perhaps a logo. Often, these items can’t be customized any further once the scoreboard has been produced and installed. Fortunately, ScoreVision’s LED jumbotron scoreboard and software system brings a whole new level of customization to your scoreboard. In addition to the school names, mascots, and colors of your school and your opponents, here are some of the many items that can be customized depending on whether you’re using your ScoreVision system for a game, halftime show, pep rally, or a multitude of other alternative uses. The brand wrapper is a backdrop for the whole display that can be leveraged to display school imagery (a logo, mascot, event branding, etc.) in order to personalize the display for the home team or a specific occasion. It can also generate revenue by adding a sponsor’s logo alongside the school name or by replacing the entire brand wrapper with a sponsor’s brand imagery. 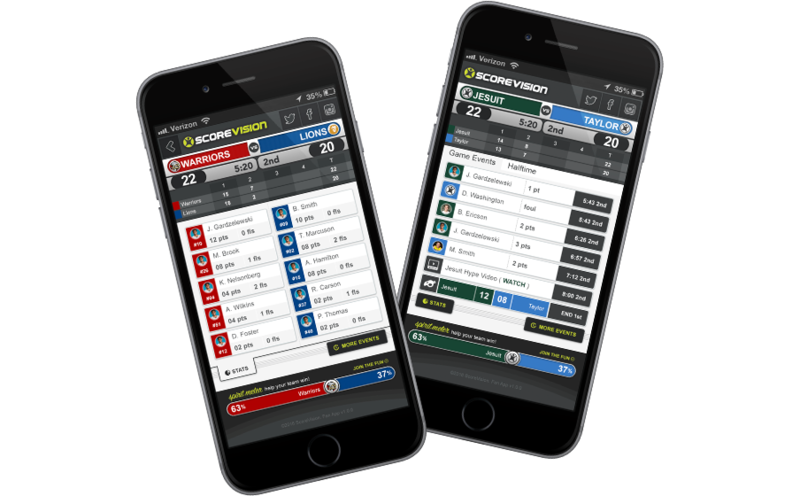 Player photos can be uploaded to ScoreVision Central to be displayed during player accolades and on the leaderboards. These features promote and energize athletes and engage their fans. Cinema ads are premium-sized digital banners displayed in a predefined rotating sequence during “countdown” periods: pregame, timeouts and halftime. Cinema ads are offered in an impressive, large format in the center of the multimedia display to showcase any type of message, including a sponsor’s advertisement. They can be a static image or a TV commercial-style video. Panorama ads are rotated through the persistent space at the bottom of the screen. This space displays a sponsor’s logo and/or message, which can be a static image or an animated graphic. Panorama ads are continuously rotated throughout the game except during “countdown” periods (pregame, timeouts, and halftime) when the cinema ads are displayed. The Fan App was designed to allow fans to keep up with games by seeing live score updates, game information, and sponsor advertising. Schools can even engage in friendly social media competition using the Spirit Meter feature, where fans battle it out on Twitter by posting their team’s hashtag! The app provides the opportunity for fans to interact and engage with the game, even when they’re not in attendance. 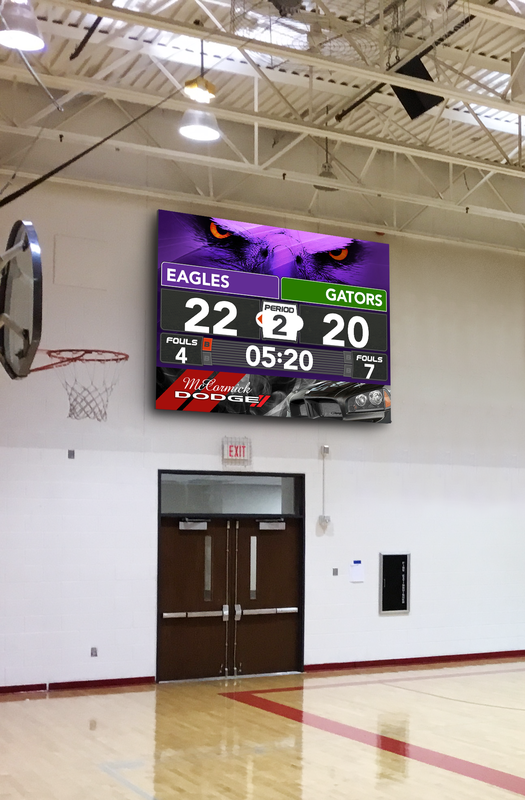 A ScoreVision multimedia LED display can also be used as a video board, giving you the ability to display any file from the iPad controller. Media such as animated hype clips, instant replays. energizing hype videos, Hudl film review, live streams, and more can be displayed using our Producer app. Watch hype videos in action on our multimedia display below. The best part is that these customizable elements can be designed and created by students. 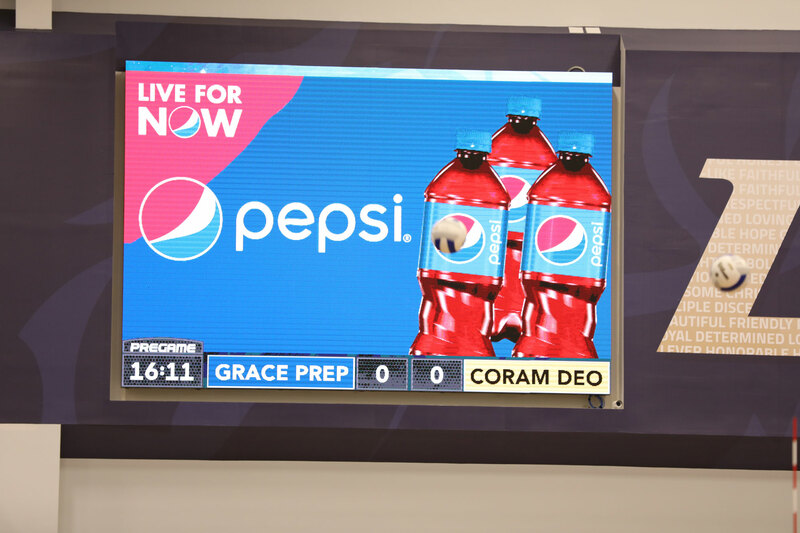 Your ScoreVision system can be incorporated into AV, marketing, and graphic design classes. With all the possibilities for customization and alternative uses, the days of the traditional single-function, metal-box scoreboard are numbered. 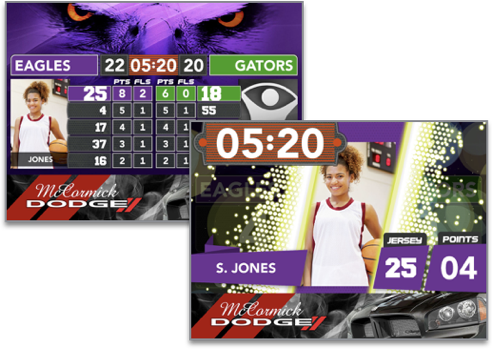 Learn more about ScoreVision’s revolutionary LED jumbotron scoreboard and software systems by contacting us today!